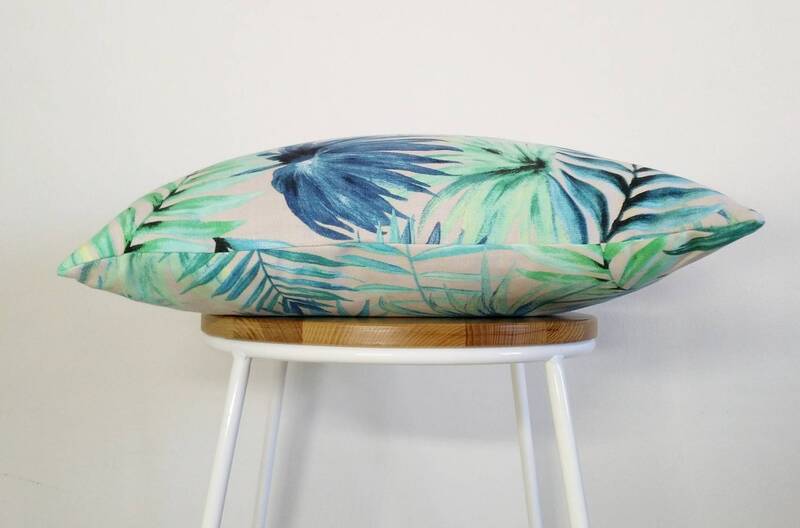 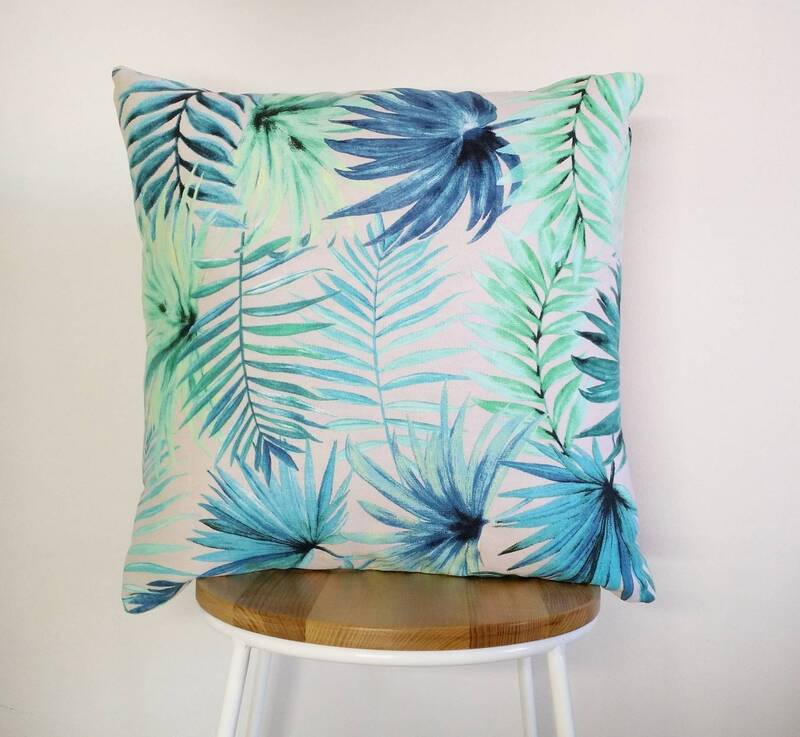 Tropical cushion cover, Aqua cushion cover, Palm leaf cushion cover. 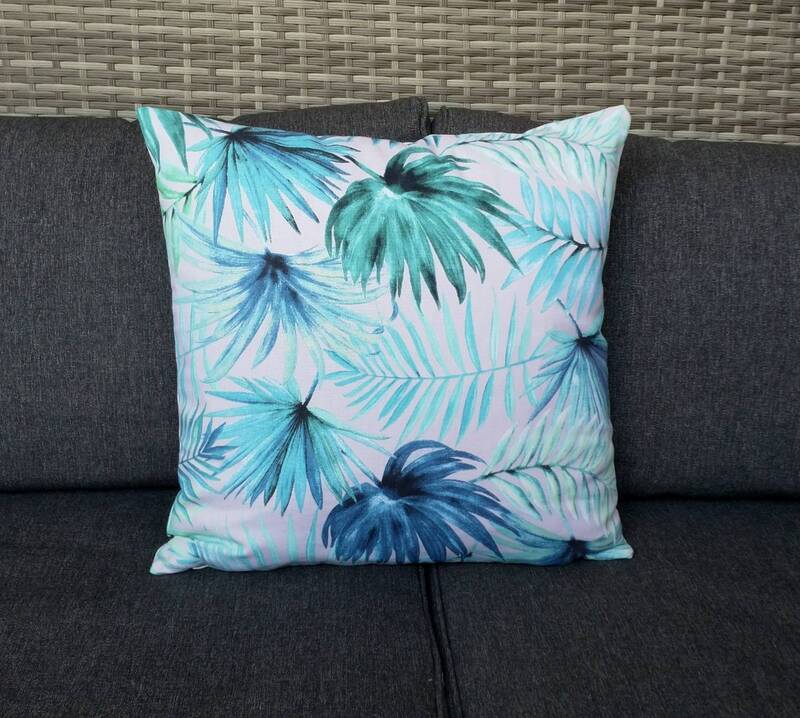 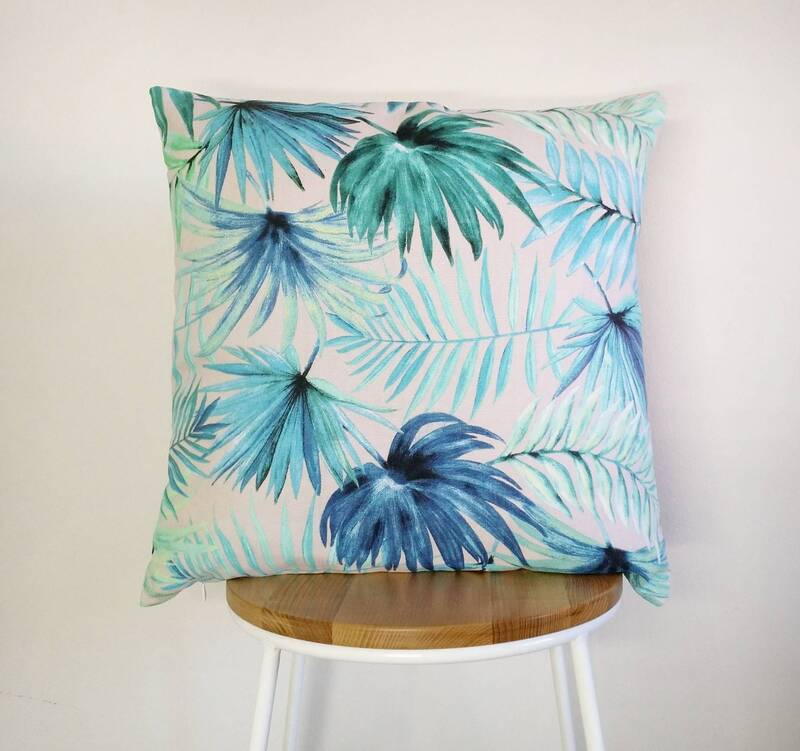 Brighten up any room and feel like you are on a tropical island holiday everyday with these cushion covers. 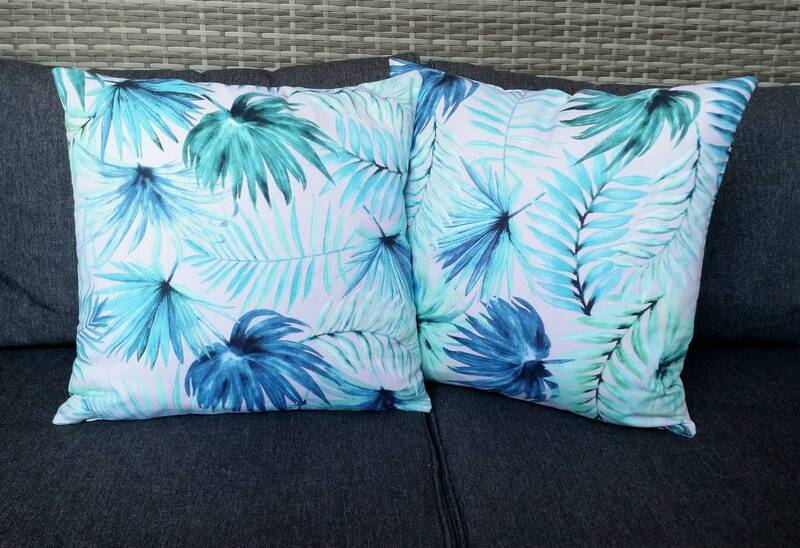 All handmade from cotton and polyester/cotton fabrics (the same on both sides) each with a 35cm white invisible zip. 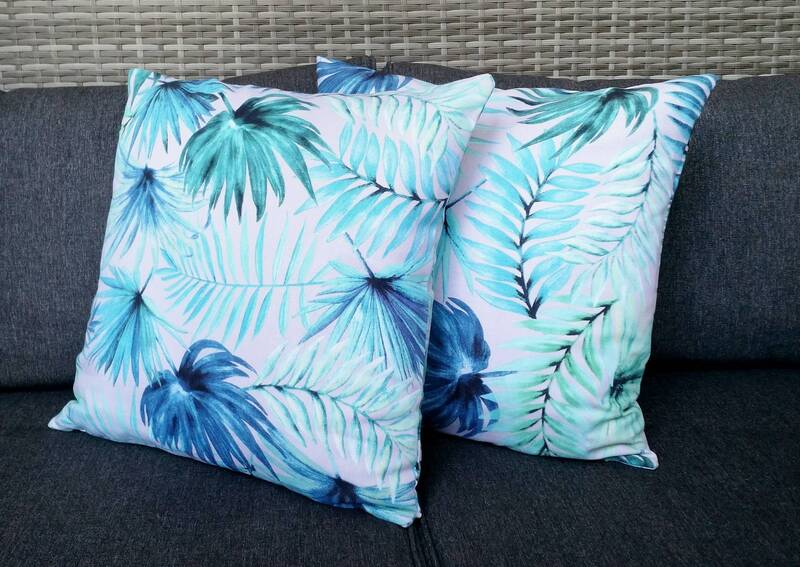 Cushion covers shown are 45x45cm but please contact me for a price on custom sizes. 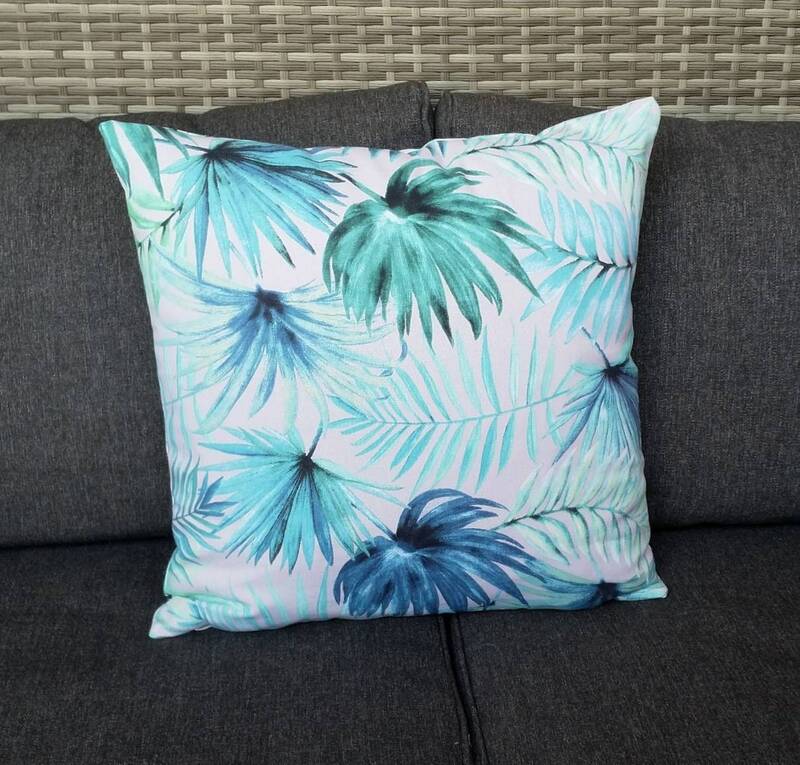 Great quality fabric, shipping is quick and seller is more than helpful.